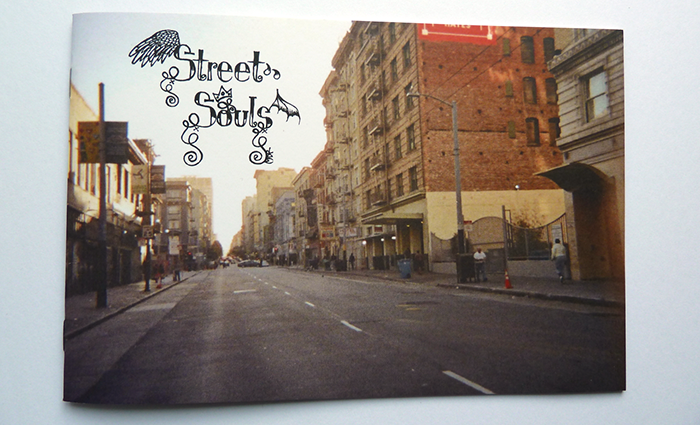 San Francisco Street Souls are the self given name of a creative writing workshop for homeless SF youth. The workshop was conducted by New America Media’s YouthWire. Writers where given disposable cameras to document there life on the street. I designed the journal horizontally to emphasize the feeling of the street. The images are cropped at odd angles to give some of the feeling of unease in their lives. 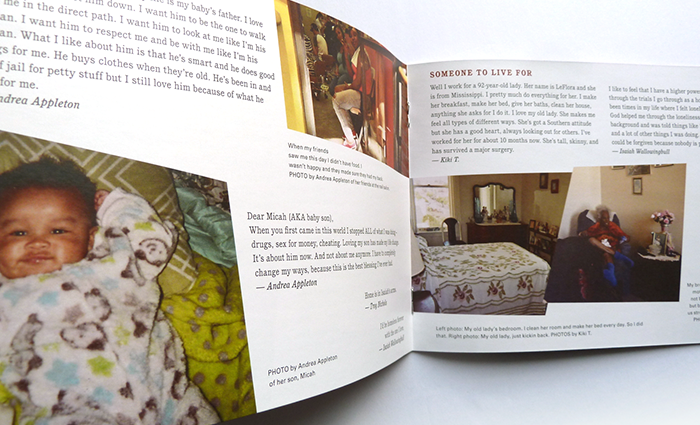 Printed journal features homeless writing from a homeless youth writing workshop.